Do you own a King size bed? This BioMat is made to fit on your King size bed! Designed those who really desire the extra recuperative benefits that the BioMat can deliver and they want it on a regular basis - every night when they sleep. This is a great option for couples who both want the benefits of BioMat daily or those who share their bed with animals- so they all can enjoy the wonderful feelings of warmth, relaxation and deep delta states of sleep. The King size is a great option for those people 'on the go'. They can get their daily dose of BioMat 'recuperation' while they sleep at night! Need extra comfort for your BioMat? The BioMat was created over 15 years ago by a highly skilled group of scientists, medical professionals and engineers. It is continually improved & updated. The BioMat is a 1” thick ‘mat’ that easily fits on any flat surface or in the car during travel. It delivers therapeutic Far Infrared Rays (FIR) coupled with Negative Ions to relieve pain and restore balance & energy to the body. Amethyst quartz Crystals are then used to amplify the FIR 2-3 times. It means that the FIR can penetrate 6-8 inches into the body. No other infrared apparatus is able to do this, as other devices are limited to 1-2" maximum by their technology. 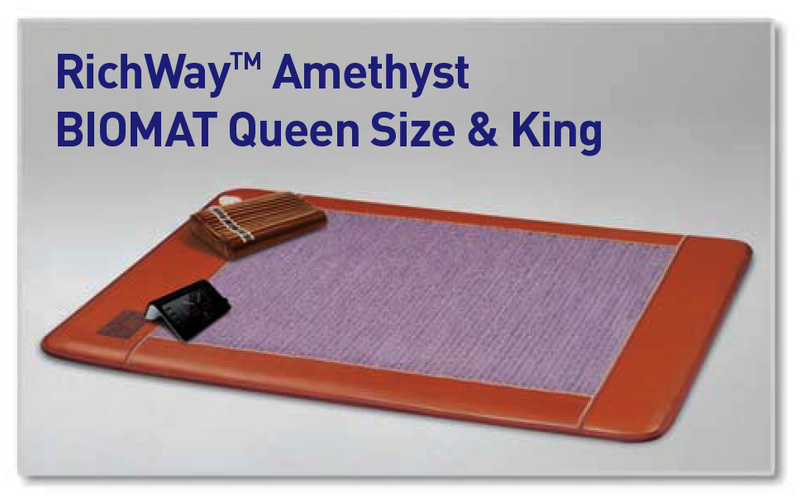 This unique combination of components is what allows the Amethyst Quartz BioMat to deliver professional therapeutic results. Much of the research and development of the technologies used in the BioMat are originally from NASA. Texas Instruments makes many of the layers contained within the BioMat. Low energy use: BioMats are also very energy conservative. 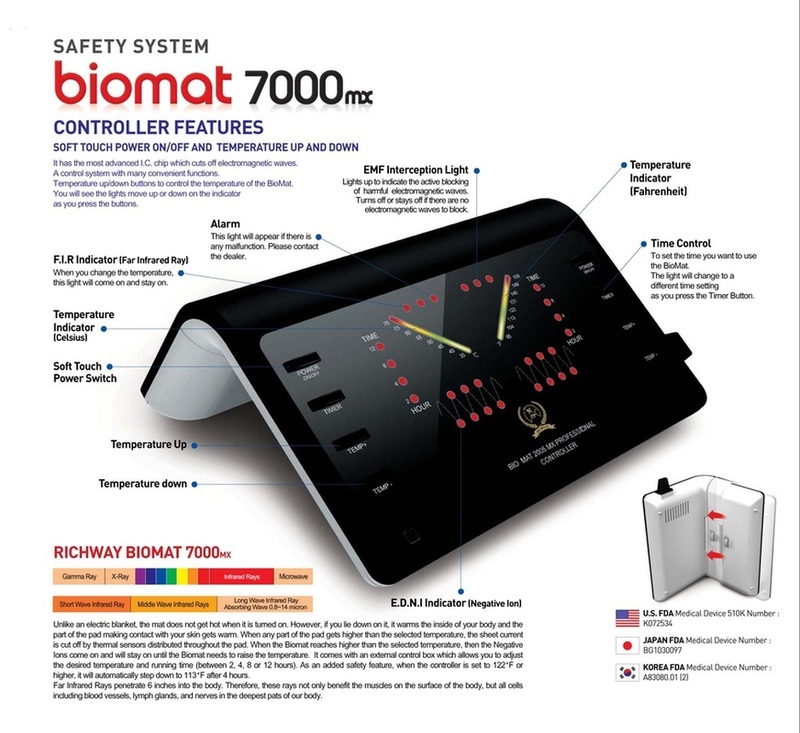 The BioMat professional size uses 160 watts of electricity & the mini-BioMat uses 100 watts of electricity. That's like a light bulb!